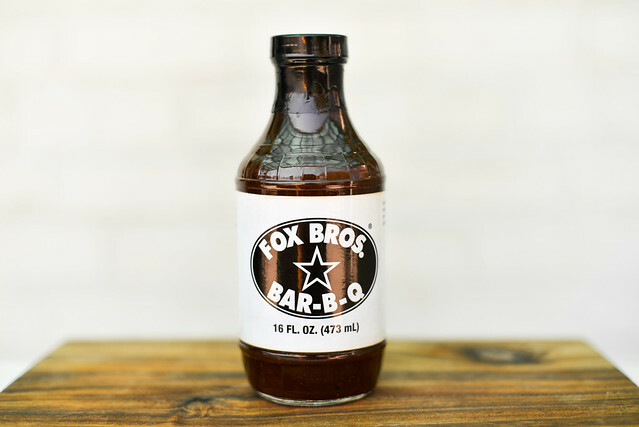 A vinegar and molasses heavy sauce that finds extra sweetness after being cooked, Fox Brothers is set to work in most all meaty applications you throw at it. Fox brothers started when Jonathan Fox went on a futile quest to find any barbecue in Atlanta that could hold up to his Texan-bred standards. Frustration led to him and his brother, Justin, to take matters into their own hands and they started a yearly tradition of a backyard barbecue for family and friends that became so popular that they were regularly having over 200 people show up for a taste of their smoked meat. Four years later, in 2004, the brothers started selling their barbecue to the patrons of Smiths Olde Bar. It wasn't long until the word of their tasty pork and brisket got out and they graduated to their own restaurant that's still going strong today. 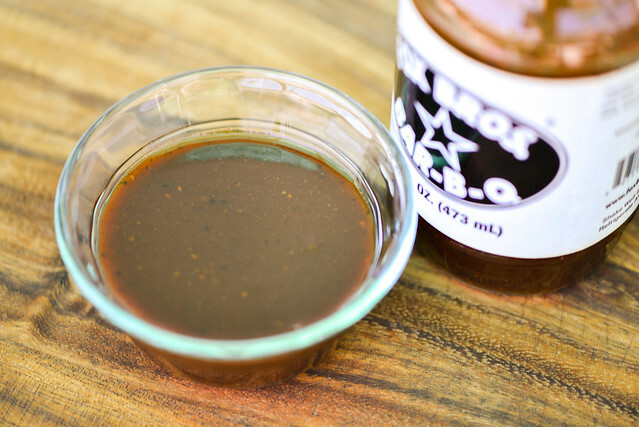 A strong mixture of molasses and vinegar defines the aroma of Fox Brothers. The tomato is faint here, but onion pops more than the average sauce. The dark maroon sauce runs medium-thin, flowing quickly and smoothly off a suspended spoon, leaving only a thin coating left clinging. This sauce is very smooth, but does have a ton of visible spices that may not add a lot of texture, but gives it an indefinable look. Fox Brothers starts with a sweet tomato flavor that is very quickly overtaken by a heavy hitting vinegar. The tomato fades, but the molasses lingers and mingles well with the vinegar for a while. At this time, tastes of onion and garlic can be pointed out. Once the sweetness begins its retreat, the vinegar starts strengthening, leading to a tingle the tongue. The plethora of spices then stay as the sauce leaves, making its final note one of sharpness from crushed black pepper. 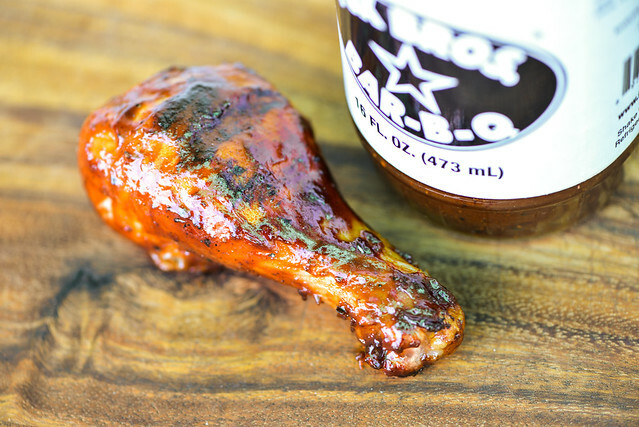 Although thin, this sauce did coat the chicken well, baking in nicely over indirect heat and producing some attractive caramelization over direct heat. The sweetness factor was turned up after cooking, balancing very well with the still very present tangy vinegar. The sauce was robust, with a good sweet molasses flavor, deep tomato, and pleasant tartness. It was the right balance to flavor the chicken well, but not totally overpower the meat. 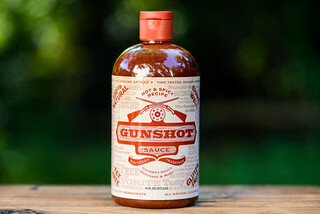 As vinegar-heavy tomato sauces go, Fox Brothers is putting out a mighty fine product. The ingredients taste fresh and in a balance that was well thought out. 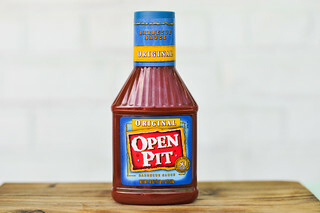 The tartness out of the jar would do a pile of pulled pork fine and stand up against beefy brisket. 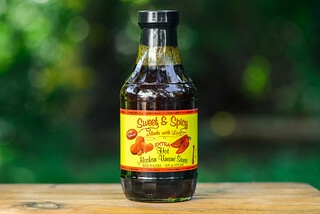 The sweetness that's brought out after being cooked makes it a good choice for chicken, pork chops, ribs, or fish. While there are vinegar sauces out there whose uniqueness I find more attractive, I wouldn't hesitate slathering Fox Brothers on any of my 'cue. Since I'm a vinegar fan, I think this would be a sweet sauce that I actually would like. I'm interested in buying some Fox brothers white barbecue sauce. Any idea where I can get it?